Don Megowan as Dorf as one of the prisoners Seven. He's the one whose hand Lucas hurt. Was a track and field star and held the discus record at his Inglewood (California) high school. Received a scholarship to play football at USC (defensive and offensive tackle) and was considered one of the country's biggest lineman at the time. Won a heavyweight boxing title during his Army military service in WWII. Suffered major injuries in a 1963 car accident. His car hit a light pole and he was thrown halfway through, pinned by the windshield and nearly "scalped." Because of his giant size, paramedics needed a crane to pull him out of the car. In Tarzan and the Valley of Gold (1966), his head was shaved to emphasize the nasty scar left on his head from the accident. To supplement his income, he managed apartment buildings in the North Hollywood area. He also was a restaurateur, owning and operating Johnny's Bar and Grill on Lankershim Boulevard in North Hollywood. After that closed he opened Megowan's Clubhouse, which specialized in hamburgers and lasagna, also in North Hollywood. This he owned until his death in 1981. 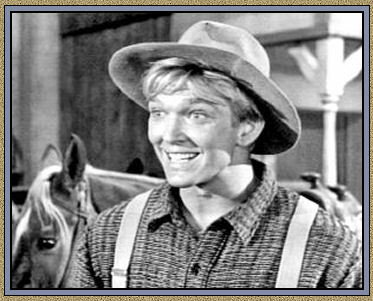 He appeared in Branded as Caruthers in the episode Price of a Name and Cowboy in Africa. His career spanned almost thirty years. In 1962, he and Cameron Mitchell had their own TV Series, The Beachcomber as Captain Huckabee. He also guest starred in various television shows: Maverick ― Cimarron City ― Have Gun–Will Travel ― Tales of Wells Fargo ― Lawman ― Cheyenne ― Bonanza ― Rawhide ― Get Smart ― Fantasy Island. This Cowboy has appeared in about everything imaginable way back when. Don Megowan: "Coolest Father in the World"
She was on The Screen Actors Guild. She appeared in over fifty movies and television show. She is known for her work on Loser's End (1935), The Nevada Buckaroo (1931) and California Suite (1978). Thanks to Phillip Arnold for giving this actress her credit due! 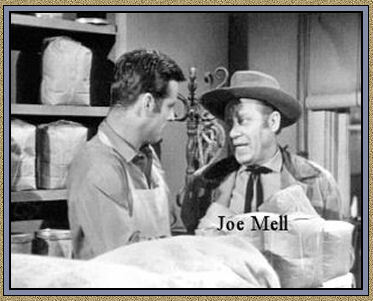 Joe Mell as Sam Moody as The Retired Gun. 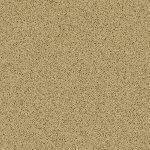 He was the customer in the Feed & Grain store that was supposed to buy flower seeds for his wife. 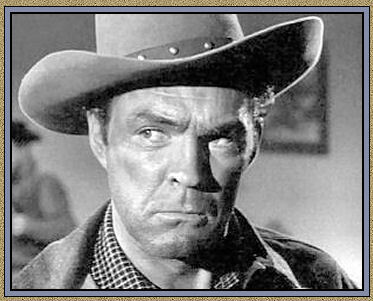 He appeared with Chuck in Arrest and Trial as a Deputy Officer (TV Series / 1963 - 1964). The Felony Squad ― That Girl ― Get Smart ― The Felony Squad ― Ironside ― The Mod Squad ― Here's Lucy ― Gomer Pyle, U.S.M.C. ― The Brady Bunch ― Nanny and the Professor ― The Doris Day Show ― Cannon ― Barnaby Jones ― Mannix ― The Streets of San Francisco ― Barnaby Jones ― Rhoda ― Star Trek. Diana Millay as Elizabeth Garrett Black in The Actress. 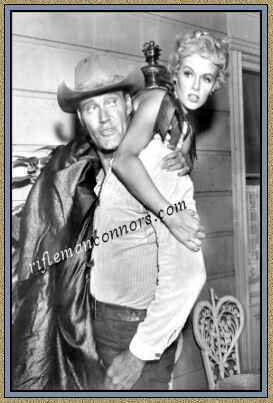 She later appeared with Chuck Connors in Arrest and Trial. At the age of 7, Diana Millay tap danced her way into show business when she received a standing ovation in a school play in her native Rye, New York. At 10, she won a beauty contest, modeling sun suits for the Sears Catalog, which opened the door to television work. 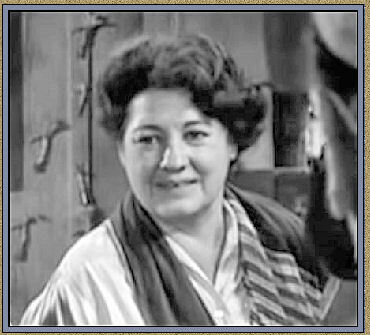 Diana played more than 100 roles on such TV classics as that were running during the late 1950s and throughout the 1960s, including Stagecoach West ― Father Knows Best ― My Three Sons ― The Americans ― Gunsmoke ― Bonanza ― The Virginian ― 77 Sunset Strip, Rawhide ― Tales of Wells Fargo ― Wagon Train ― Laramie ― Route 66 ― Hawaiian Eye ― Thriller ― Maverick ― The Life and Legend of Wyatt Earp ― Dobie Gillis ― The Westerner and The Man from U.N.C.L.E. Millay made three television pilots for prospective new television series, Slezak and Son ― Boston Terrier and Las Vegas Beat. In the mid-1940s, she modeled sun suits for the Sears Catalog. She sold fine art and commercial real estate at one time. She has published several books, including, I'd Rather Eat Than Act, The Power of Halloween and How to Create Good Luck. She is best known for her work in television, having guest starred in close to one hundred prime time shows, both live and filmed, and for playing continuing roles on two daytime soap operas, Dark Shadows and The Secret Storm. Denny Miller as Reuben Miles in The Promoter. He's the big guy who could lift a horse. He also appeared with Chuck Connors in the TV Series Werewolf. He played Tarzan in the TV series Tarzan the Ape Man. He became the first blonde Tarzan. He played Mike McCluskey in the TV series Mona McCluskey, starring Juliet Prowse. Gee whiz, anybody remember this? "Hunt 'em, hear 'em and hang 'em. That's the code of the west," says old Hardcastle. Since the 1990s until early 2005, actor Denny Miller had portrayed the Gorton's Fisherman in a series of print and TV advertisement. The Fisherman always wears a traditional yellow rain slicker complete with hat and galoshes. Gorton's actually changed the Fisherman's appearance on their product logo to resemble Denny Miller (as mentioned in his 2004 autobiography 'Didn't You Used To Be What's His Name?'). I got to meet Denny and his wife Nancy when I went to several of The Festival of the West. They were both super and made you feel like you fit right in! He and many of our classic cowboys got together and made a move, Hell to Pay. I do have this, it was great seeing all of these cowboys together!